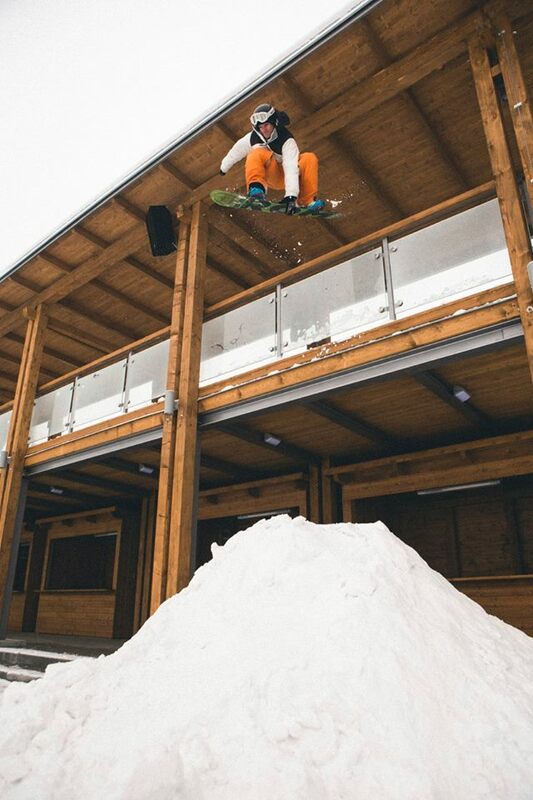 Ever looked at skiers or snowboarders flipping upside down, sliding down steep rails and doing tricks that you could only ever dream of? The kind you see competing at the Olympics or on the front of magazines. 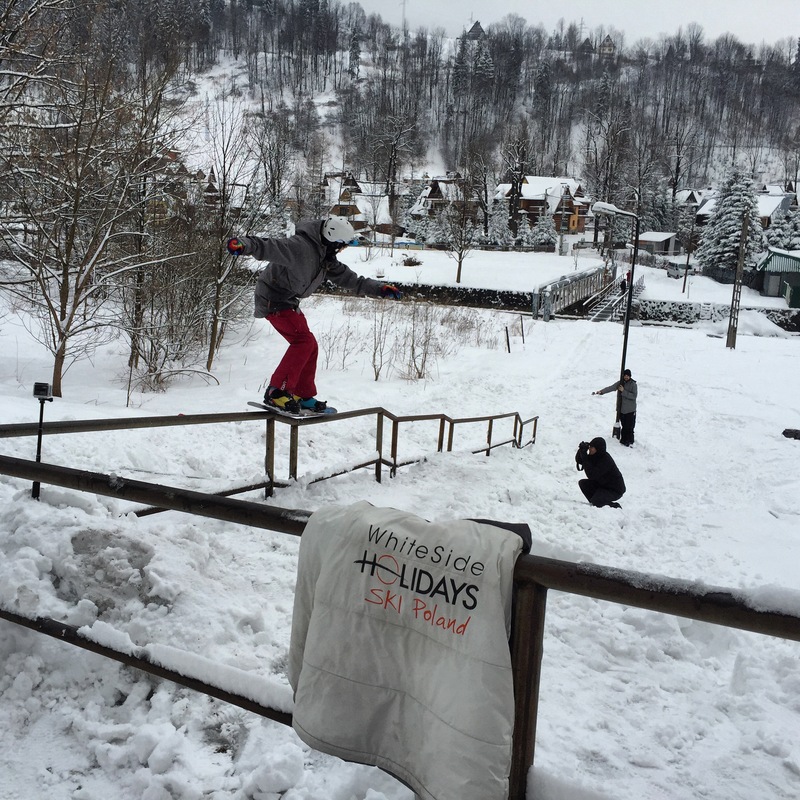 Well last week we were lucky enough to host three of the UK’s best up and coming freestyle snowboard talents here in Zakopane, Poland. 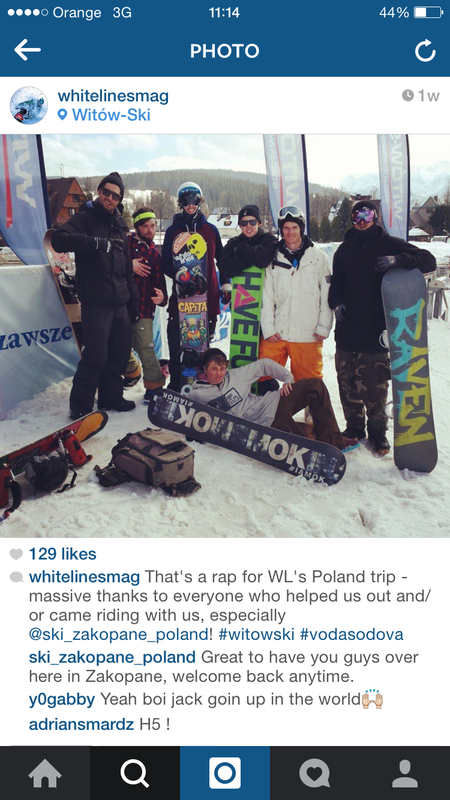 As specialists in ski and snowboard holidays to Zakopane, White Side Holidays were approached by the UK’s premier snowboarding magazine website, Whitelines Magazine to organise a trip and set up some interesting locations for them to shoot at so they can run an article on snowboarding in Zakopane. Along with magazine editor Andrew Duthie the team included professional photographer Dan Medhurst and 3 incredibly talented young riders, Jamie Trinder, Henry Shackleton and Jack Labbett. Spring time had been chosen as the ideal time to run the trip due to the usually reliable sunny weather, not so! The day the group arrived it clouded over and we got snow, some more snow and then some more snow for three days straight! 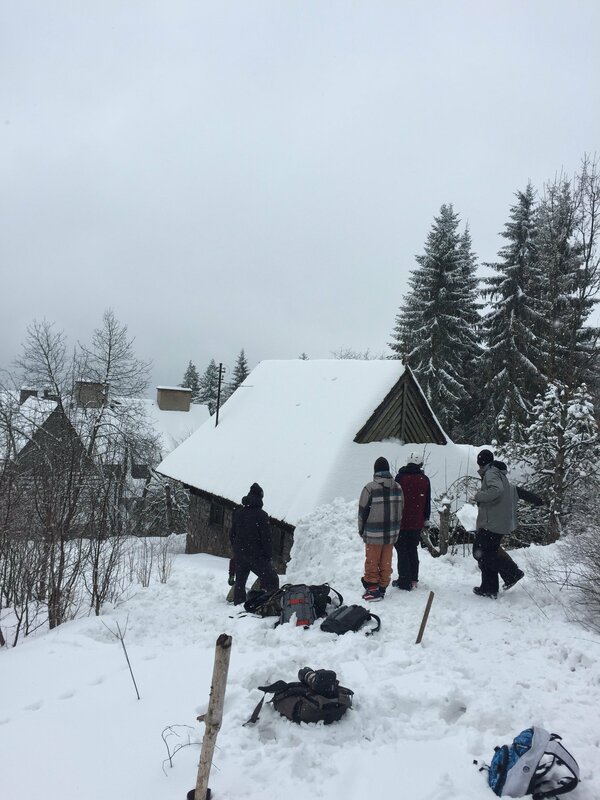 The snow at the start of the week opened up some great snowboarding spots for us though and with the help of a local sponsored rider Adrian Smardz we found some amazing spots. 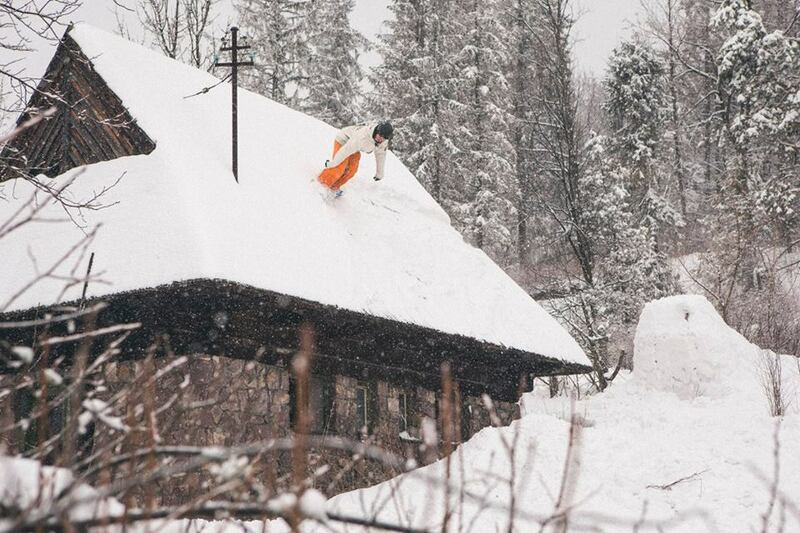 The street rails we picked were easy to set up as there was so much fresh snow to build jumps onto them, we had a jump on to an abandoned house roof and some fun laps through the Gubalowka ski area, despite the snowpark features being covered in fresh snow. A big thank you to Adrian Smardz from AAF productions for his help in shooting and setting up our street spots during the week, you can check out Adrian snowboarding on his Facebook Page here. 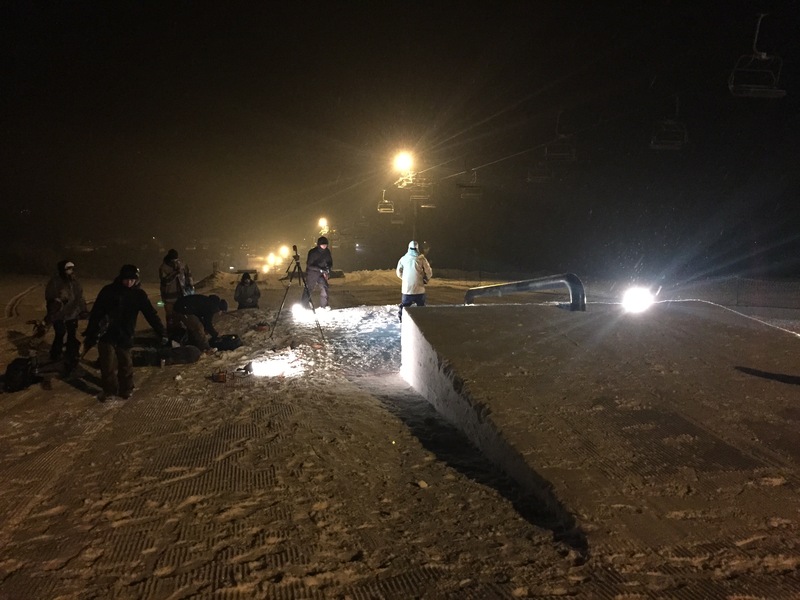 Using contacts built up through years of running ski and snowboard holiday packages here in Zakopane, White Side Holidays Poland arranged a night shoot at the Witow Snowpark, which is managed by Vodasodova. 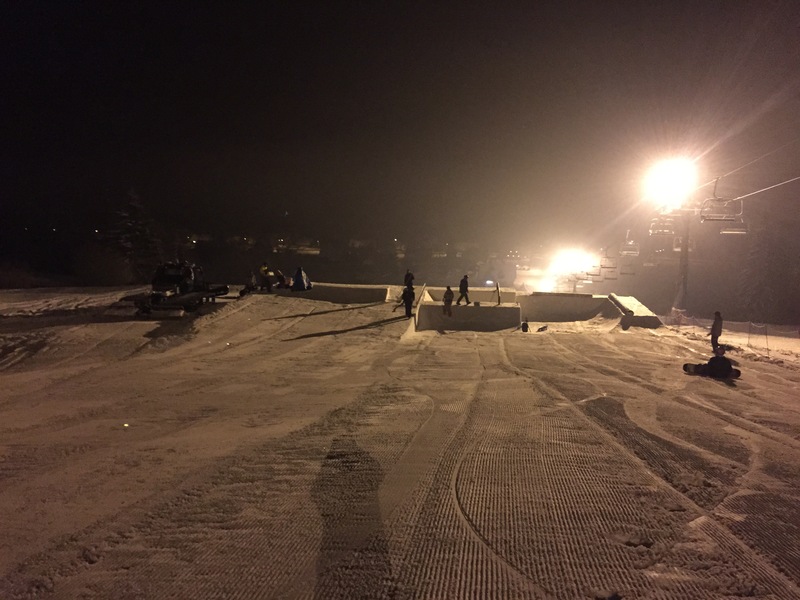 Once the ski hill had closed the Vodasodova staff freshly prepared and groomed the snowpark for us before giving us private access to the snowpark, a snowmobile so we could get quick laps in and a great night’s entertainment. Big thank you to the Vodasodova guys, especially head shaper, Daniel Pulit for helping organise a brilliant night for us all. 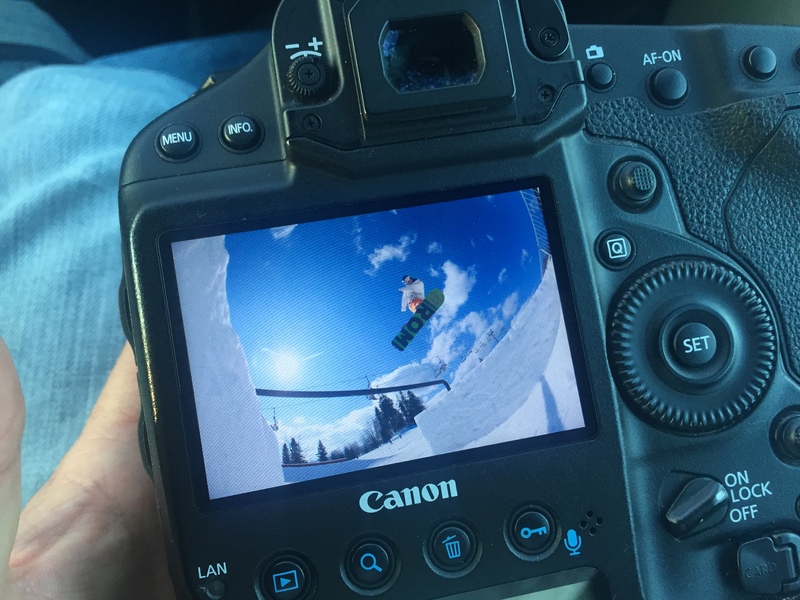 The last couple of days saw the sun finally break through and we enjoyed an unreal day setting up and hitting a rail at the side of an old abandoned ski jump. We can’t publish photos of it just yet as the magazine are holding images back until the story goes out in the Autumn but trust us it will be worth a look and if you’re an average skier or snowboarder who enjoys trying the occasional trick it will make your jaw drop! 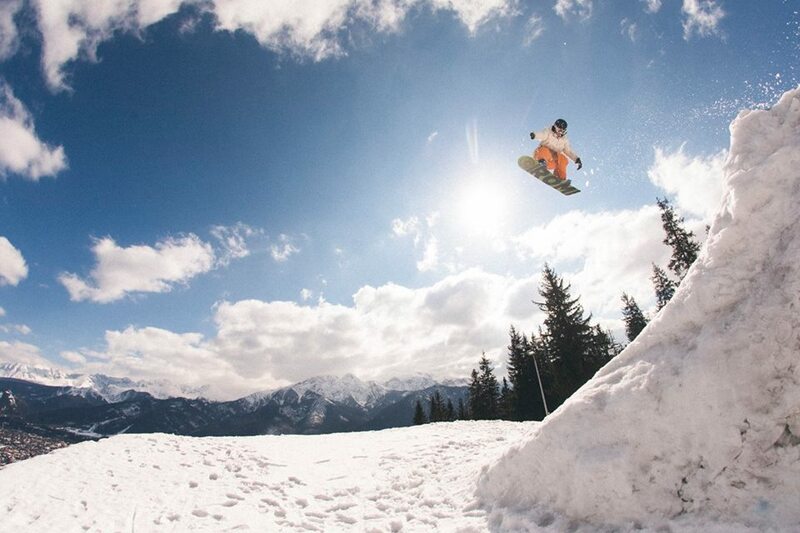 The final morning was spent back at the Vodasodova snowpark enjoying a few sunny laps before an afternoon at the Goobaya Snowpark on Gubalowka hitting the big air jump, which was built for the Polish Freestyle Open earlier in the winter. Unfortunately the snow was a little bit slow for anyone to get enough speed for any big tricks, we were all waiting to see some double flips from Jamie but the weather didn’t allow. Jamie and Henry are currently out in France competing at The Brits, a competition for the best British skiers and snowboarders, which Jamie won last year with Henry finishing as runner up. As we write Jamie’s just come second in this year’s rail jam, Bangers & Cash and both will be hoping for podium places in the slopestyle event this week as well. Both Jamie and Henry are spending winters out in Austria and training towards their goal of competing for Team GB at the 2018 Olympics so we wish them luck with that, it would be great to see them competing on the world stage. 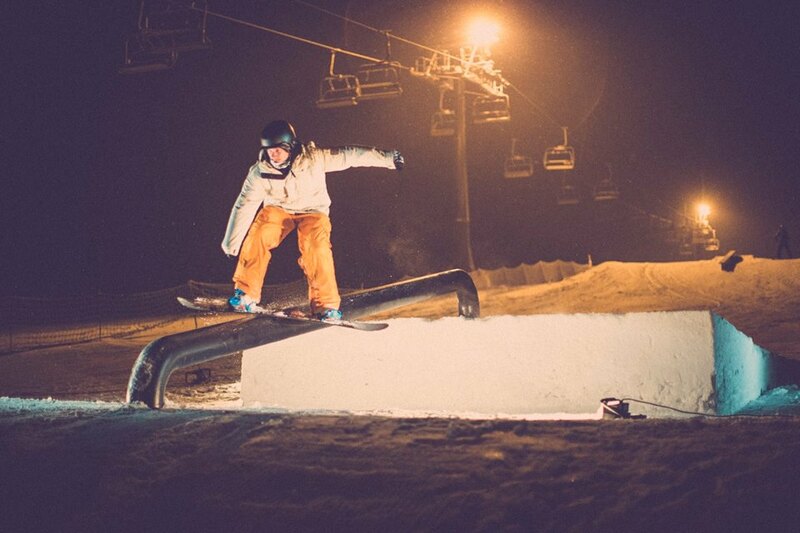 Jack is what British snowboarding is all about, he works and trains indoors at the Calshot Dryslope and this was his first outdoor trip with the magazine. It’s true that snowboarding indoors is different but Jack took everything that was thrown at him in his stride and put down some crazy tricks, can’t wait to see his magazine shots. 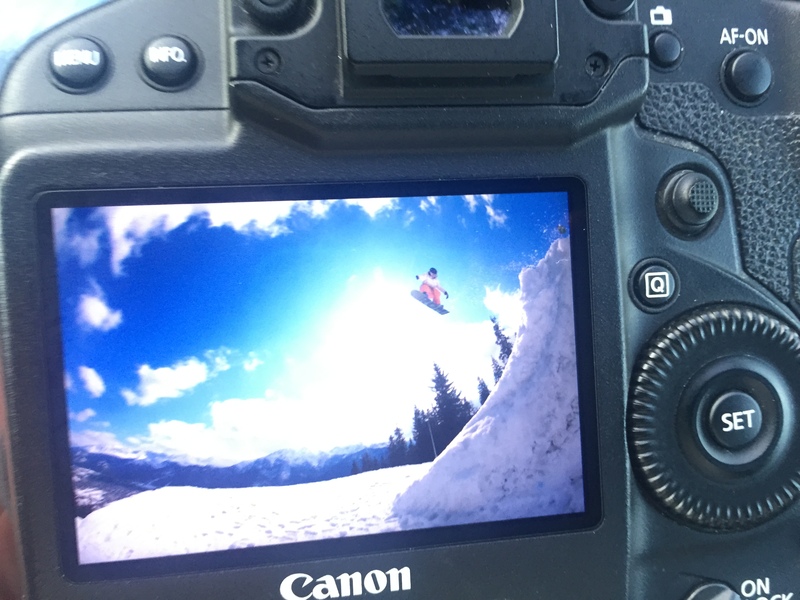 We had a great week watching some fantastic snowboarders push themselves hard in Zakopane and we can’t wait to see the article and the video edit of their trip. 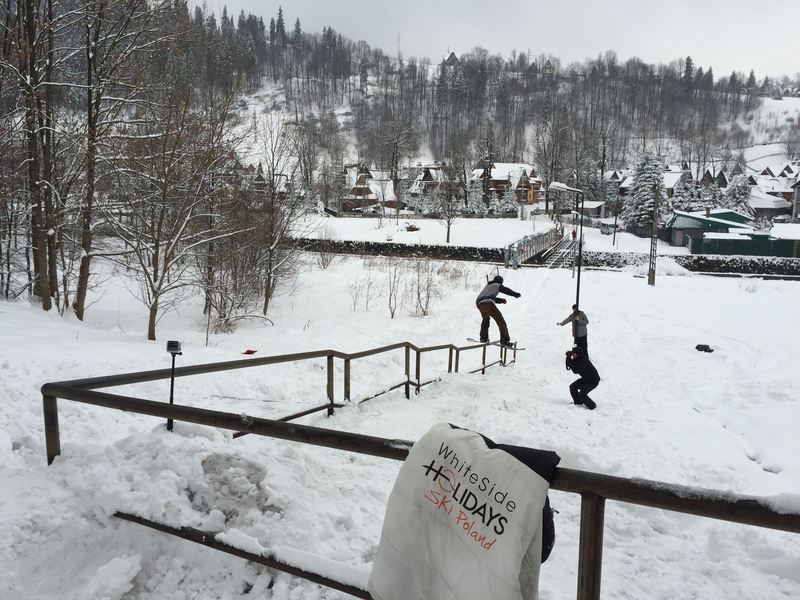 White Side Holidays Poland’s head of snowboarding, Gareth Nicholls ran the trip for the guys so all we can offer you for now as a teaser before the magazine goes out are a few photos of some of the set ups and Gaz hitting some jumps with the guys last week. We will update this page once the article goes out later in the year and link you to the full article and video. Be sure to check out these links as well to see video clips of Jamie Trinder (The Trinders website), Henry Shackleton (Facebook Page) & Jack Labbett (Facebook Page) snowboarding elsewhere in the world or just Google them and you’ll find plenty! There are some amazing images taken by Dan Medhurst worth a look as well! (Dan Medhurst Photography).